At the Qingdao Port in east China's Shandong Province, containers loaded with engine parts are put onto ships to travel across the Pacific and Indian oceans, where they will eventually reach the Nhava Sheva Port in India. The parts, manufactured by China's Weichai Group, will be assembled into engines by workers in India and then delivered to ship factories to power Indian fishing boats. Weichai Group is located in Shandong's Weifang City and is one of the leading engine manufacturers in China. "We established a branch in India in 2011, and an engine-making factory there in 2014," said Li Jian, Deputy General Manager of Weichai's India branch, "Our India branch has become a leading enterprise in the South Asian market." Li said that Indian workers and their families appreciate the factory for providing a good working environment and career opportunities. In addition to India, Weichai has also built a factory in Belarus, which is an observer state of the Shanghai Cooperation Organization (SCO). SCO member states account for over 60 percent of the Eurasian landmass, nearly half of the world's population and over 20 percent of the global GDP. Its eight constituent countries are China, Kazakhstan, Kyrgyzstan, Russia, Tajikistan, Uzbekistan, India, and Pakistan, whose representatives will descend on Qingdao in June for the SCO Summit 2018. Workers broke ground on the Belarus factory in 2017 and construction is still underway. After completion in November, it is expected to produce around 20,000 engines annually. Chinese companies have increasingly catered to demand in SCO member and observer states. In 2016, for example, 2,000 sanitation trucks were exported to Karachi, Pakistan. The trucks were made by the Shandong Wuzheng Group Co. Ltd., which specializes in making new energy, sanitation and agricultural vehicles. 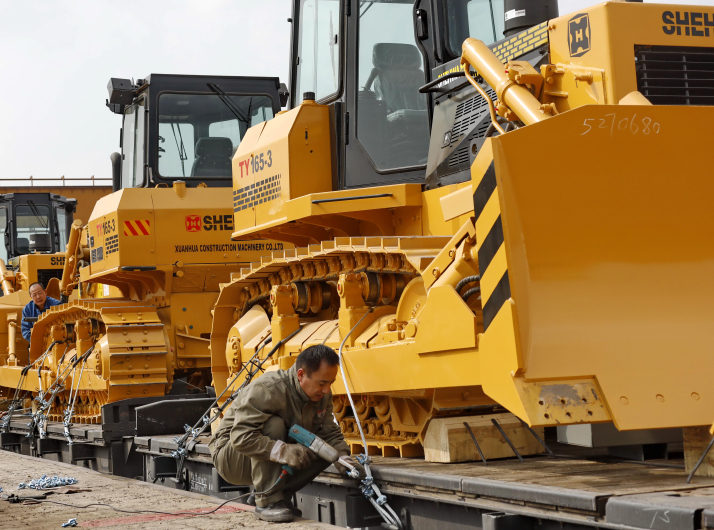 "As locals are accustomed to right-hand driving, we specifically designed the vehicles according to their needs, as well as taking into consideration local weather conditions," said Zhang Xiwen who works for the company. The Wuzheng Group has also designed cars suitable for using at high altitudes to meet the demand in Russia, where they have proved popular. Other products, such as three-wheeled and agricultural vehicles, are also ready to hit markets in SCO member states. "Our three-wheeled vehicles are in high demand in Pakistan, and will replace local donkey carts for logistics," Zhang said. "It seems that more and more China-made vehicles are becoming popular there."